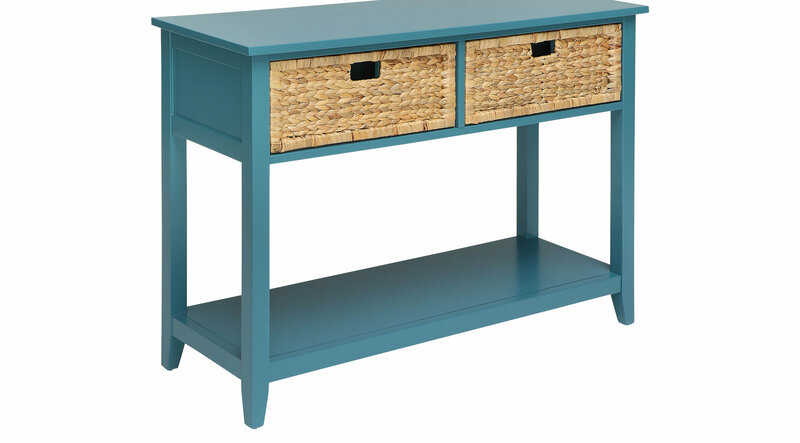 A stylish look for any room in your home, the Flavius blue accent table is an easy addition. This accent table has a rich finish and comes complete with two basket-like drawers. The drawers help to tame the clutter, while the bottom shelf provides additional storage and decor solutions.